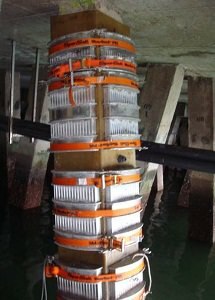 Encapsulate for over 300 piles at international container terminal without impeding port workflow. Based on exemplary service on a previous round of encapsulation work, Substructure was asked to perform a second round of pile encapsulation at an international container-shipping facility in Mexico. Substructure was contracted to provide its patented advanced epoxy pump, as well as other specialized equipment that would guarantee the highest quality encapsulation possible. Substructure was also responsible for quality control of the overall job, which included two additional subcontractors. 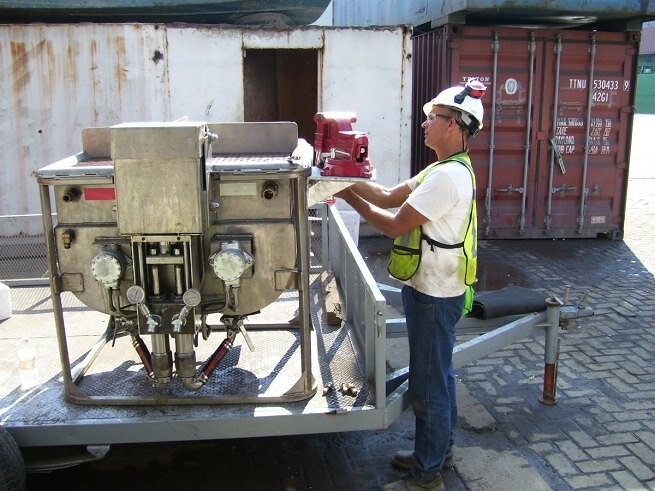 For the port, Substructure designed, built, tested, and used two different pile-cleaning systems. These semi-automatic high-pressure cleaners, one for square concrete piles and one for steel H piles, provided predictable surface preparation. The square concrete piles were scarified and the H piles were cleaned to a WJ1 standard which maximized adhesion characteristics during the encapsulation process. The design of these specialized systems took several weeks, with the H-pile system providing the most challenges. After arrival in Mexico, these systems worked dependably for the entire project without incident. In addition to the cleaning systems, Substructure designed specialized rigid form clamps for use during the epoxy injection process. 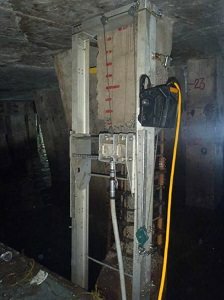 The deficient clamps used by contractors of the previous phase yielded during pumping, causing jacket deformation and failures. To overcome this challenge, Substructure designed a series of rigid clamps that encompass most of the fiberglass jacket. These designs utilize aluminum extrusions to provide dependable support. 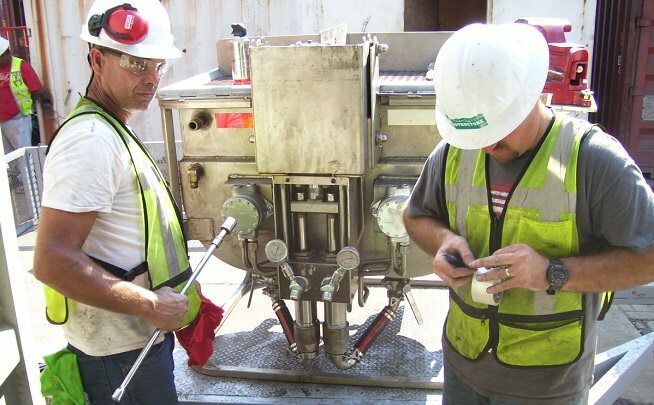 On site, Substructure trained local contractors in the safety and use of the cleaning systems, fiberglass jacket preparation, and jacket and clamp installation. Substructure provided continual support to project contractors as well as equipment maintenance services and material sourcing for the entire jobsite. Substructure’s quality control work took several forms. For the nearly 100 square concrete piles, Substructure kept meticulous as-built documentation. Documentation included the quantities of rebar removed and replaced, quantity of concrete demolition, photographs, encapsulation adhesion tests, exact location of encapsulations on the pile, a minimum of three samples of each mix of epoxy, and compression and tensile testing of epoxy samples. 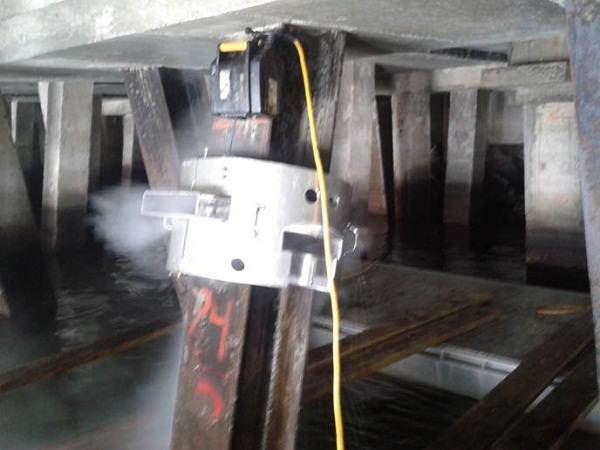 For the over 200 steel H-piles, Substructure provided daily high-resolution optic scans of each pile, directly after cleaning. These scans provide the terminal operator with detailed information about section loss at the highly corroded intertidal zone on each pile. In addition to the photogrammetric scanning, technicians took photos of the above-water sections of pile while divers acquired videos of the underwater portions. Ultrasonic thickness measurements (UT) were taken at 12 locations at the base of the installed jacket. Epoxy testing was conducted at three intervals for each jacket. Tensile and compression testing were also conducted at regular intervals. Ten percent of the jackets were pull tested with a modified alchometer method to assure compliance with design specifications. All testing information and compliance materials were assembled in both text and electronic formats for submission. Overcoming various on-site sourcing and materials obstacles was Substructure’s greatest task. With guidance from Substructure encapsulation experts, various materials and supplies were manufactured by local tradesmen when ready replacements could not be found. This 11-month international job consisted of two major phases of work and required four separate supply shipments. Four months of dedicated engineering work went into preparing for the job in Mexico, designing new equipment and modifying older equipment for near-continuous use. 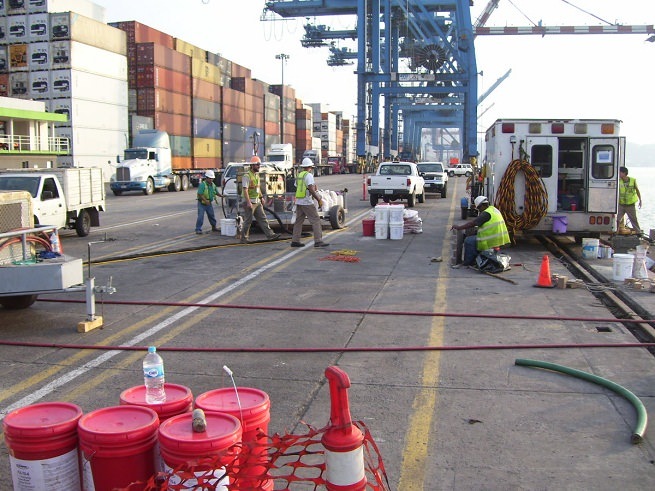 Substructure provided support for 24 hour work operations while coordinating work around the port shipping schedule.